Of the 114 authors (as well as illustrators, translators, and more) listed here, 50 are female. It was a strong year for Australian literature with 50% of the list coming from Australians. Authors Helen Garner, John Clarke, Rupi Kaur, Elizabeth Strout, Jane Harper, Yuval Noah Harari and Hetty McKinnon each have two books featured, and as ever, the list includes several notable literary prize winners including Lincoln in the Bardo by George Saunders (Man Booker Prize), The Power by Naomi Alderman (Women’s Prize for Fiction), Extinctions by Josephine Wilson (Miles Franklin Award) and The Museum of Modern Love by Heather Rose (Stella Prize). We’re especially delighted to see all three of our Readings Prize winners listed here: Sam Carmody’s The Windy Season, The Bone Sparrow by Zana Fraillon and A Most Magical Girl by Karen Foxlee. All these books from emerging Australian voices comes very highly recommended from Readings staff. 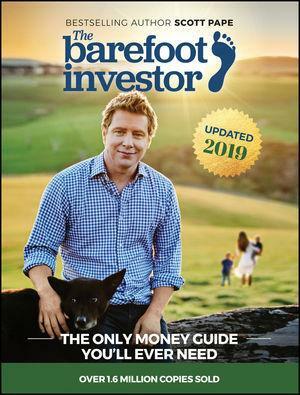 Described as ‘the only money guide you’re ever need’, The Barefoot Investor has struck a chord with Australians. It’s not only the bestselling book here at Readings but it was also the highest selling book across Australia in 2017. In its pages, Scott Pape will show you how to create an entire financial plan that is so simple you can sketch it on the back of a serviette – and you’ll be able to manage your money in 10 minutes a week. Ed. note: The list combines sales from all Readings shops and our website. Where possible, different editions of titles have been combined to reflect total sales of each title. The list includes all genres. It covers sales from 1 January 2017 to 31 December 2017.